Riverdale showrunner Roberto Aguirre-Sacasa confirms this week's episode will be the last to feature the late Luke Perry. Actress Trinity Likins has been added to the cast of Riverdale as Jughead's little sister Jellybean. Anthony Michael Hall is heading to Riverdale to play Principal Featherhead in the flashback episode, which airs in November. The CW revealed the premiere date and trailer for Riverdale season 3 during their SDCC presentation. The CW has unveiled the premiere dates for its new six-day programming schedule including its new Sunday night lineup and Arrow shifting to Monday nights. Its season finale time for our favorite high school teens, and there's only one question on everyone's mind at Riverdale High. Riverdale Episode 2.20 & 2.21 Recap: Who's Ready for War? An all-out war with the North and the Southside triggers as Veronica makes a devastating discovery in the latest episode of Riverdale. 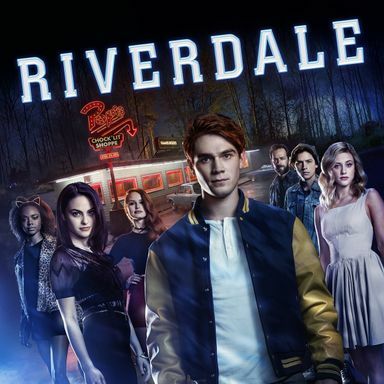 An incident at Riverdale High leaves the town on edge in the latest thrilling episode in Season 2. Rehearsals begin for an upcoming production of Carrie the Musical as an ominous letter forces director Kevin to make a difficult decision in the latest episode of Riverdale. Hiram's mobster associates come to stir up some trouble while things take a dangerous turn at the Cooper residence in the latest episode of Riverdale. The CW has renewed 10 shows, included Riverdale, Black Lighting and their whole Arrowverse lineup. In the aftermath of Hiram's plans, Jughead resorts to drastic measures to voice his opposition in the latest episode of Riverdale. Fred considers running for Mayor as Betty becomes increasingly suspicious of Chic in the latest thrilling episode of The CW's Riverdale. Determined to uncover Hiram's plans, Jughead presses Veronica about what she may know in the latest episode of Riverdale. A subversive take on the well-known wholesome town of Riverdale and residents Archie, Betty, Veronica, as well as Josie and the Pussycats.